Because February is Women's History Month I wanted to share with my readers the story of strong and courageous women in my life. You will be able to follow along as you wish by choosing the label "Women of Courage" in the right side bar. I encourage my readers to join me in honoring women of courage in your own families. Sarah Elvery has always been an ancestor whose life story brings tears to my eyes. Born in Kent England in 1836, Sarah grew up in a hard-working family. At the age of 20 she married William Stead, a local gardener. William was deaf, having suffered from measles as a 10 year old and losing his hearing as a result. Children soon followed in rapid succession - Edward, William Jr. and Charles. In 1862 their only daughter, my great-grandmother Sarah, was born. Sadly one year later little 6 year old Edward died. 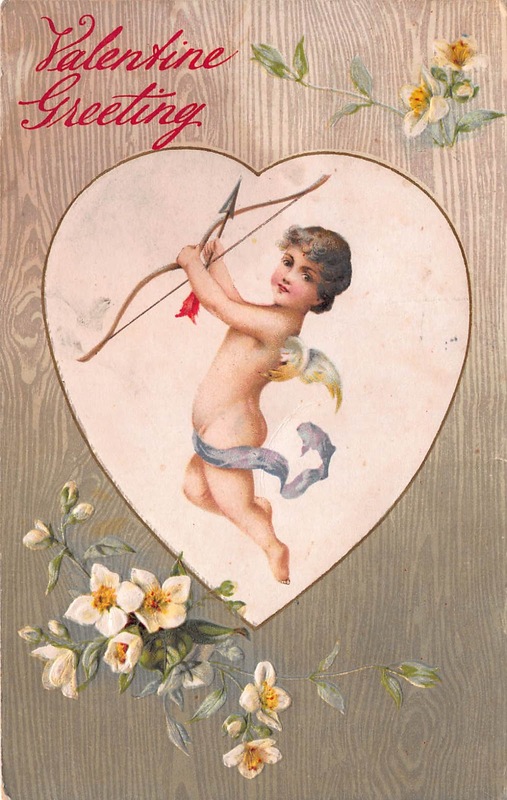 1866 saw the birth of another son who they named Edward after their deceased first-born son. William decided the family would emigrate from England to Australia where his brother had been living since 1855. 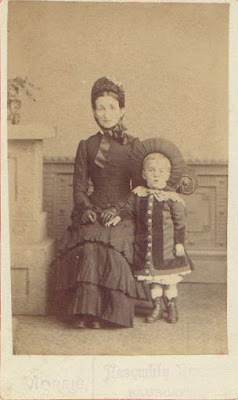 It was 1867, the Civil War was barely over in the United States, and 29 year old Sarah was pregnant with her 6th child. The voyage on the Light Brigade was a rough one. They encountered many storms and the voyage was much longer than normal. Sarah was nearing her time to deliver her child an they were still at sea. Then tragedy struck. Sarah gave birth to a son who they named Ebenezer but shortly after his birth she was bitten by a flea on a rat, and fell ill with Typhus. When the ship reached Sydney Harbour, they were quarantined and poor Sarah died on board without ever setting foot on land. Although Sarah did not have to suffer anymore sadness, there was more to come for the family. After she died in June, William took his four children ages two weeks to 8 years old to his brother's. Then in October 5 month old Ebenezer died and was buried in Sydney with his mother. William was left with a very tough decision as to what to do next. Sarah would no doubt have been heart-broken at what happened next. William took his 5 year old daughter Sarah and 7 year old son Charles back to England, leaving his other two sons behind with his brother. They were later adopted by William's brother, and William himself remarried in England one year later and had more children with his new wife. He never saw his two sons left behind in Australia again. 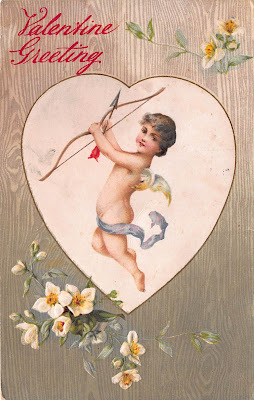 I hope my readers enjoy my February articles on Legacy Family Tree! Original Sources: Are They Always Accurate? 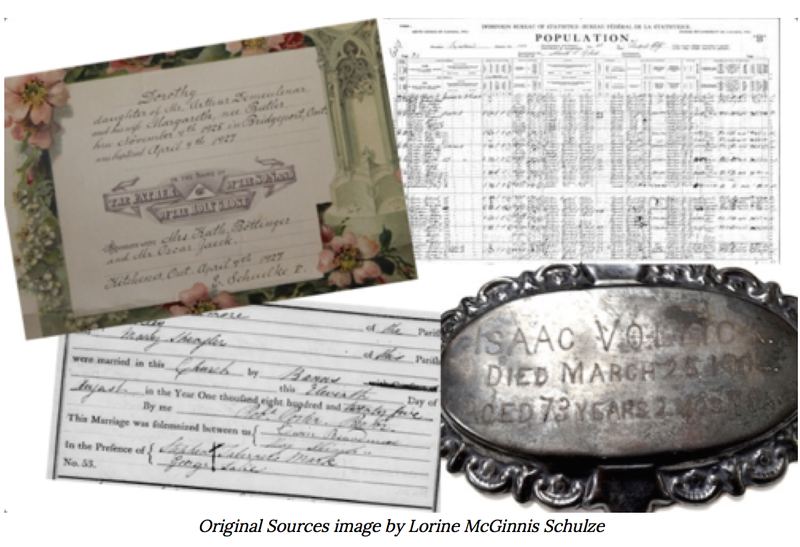 Is your genealogy accurate? Genealogists strive for accuracy. We want to be sure we have the right great-grandmother, the correct year of birth or death, the correct parents for our 3rd great-grandfather. We spend hours, days, weeks, even months looking for original sources. But what are original records and sources? They are documents and records that were created at or around the time that an event occurred. 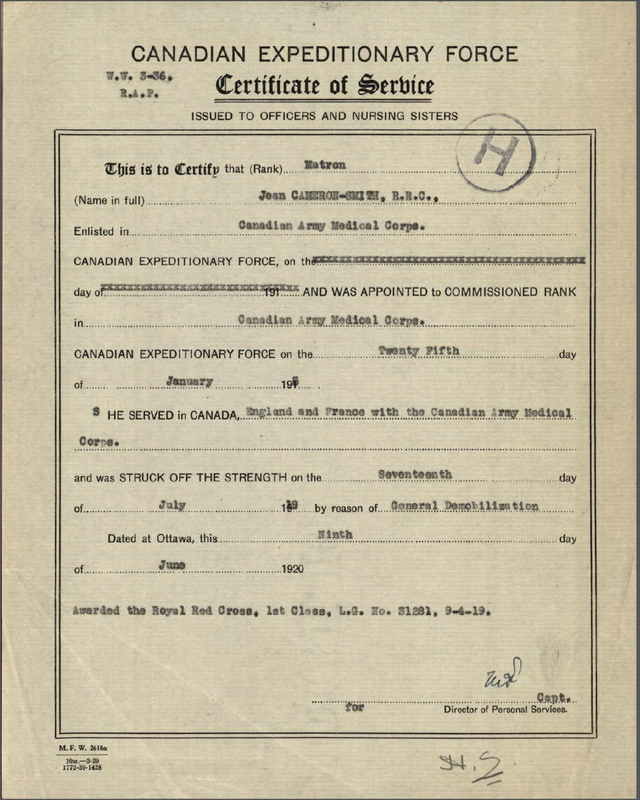 These include such documents as vital statistic registrations, newspapers, tax lists, court records, church records, land records, funeral home documents, census records, personal letters and diaries, and other more obscure items such as funeral cards, coffin plates, and so on. Continue reading at Original Sources: Are They Always Accurate? Ancestry.com will be launching the Ireland Catholic Parish Registers online in March of this year. With more than 10 million Catholic Parish records, this launch will help create the largest collection of Irish registers available online. Here's some facts to keep us all anticipating this debut! The collection means that Ancestry.com will have over 55 million Irish records and will provide the largest collection of Irish Catholic parish records available online. 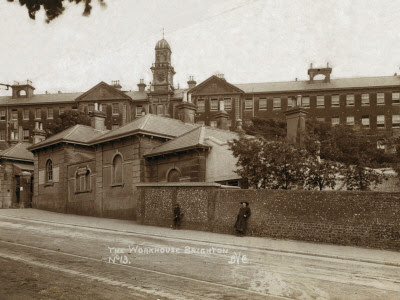 The collection is made up of Baptism, Marriage and Burial records from over 1,000 Catholic parishes across the whole of the island of Ireland - both in the Republic of Ireland and Northern Ireland. Baptism and Marriage records make up the majority of the collection and Burial records can be found primarily for parishes in the northern regions. 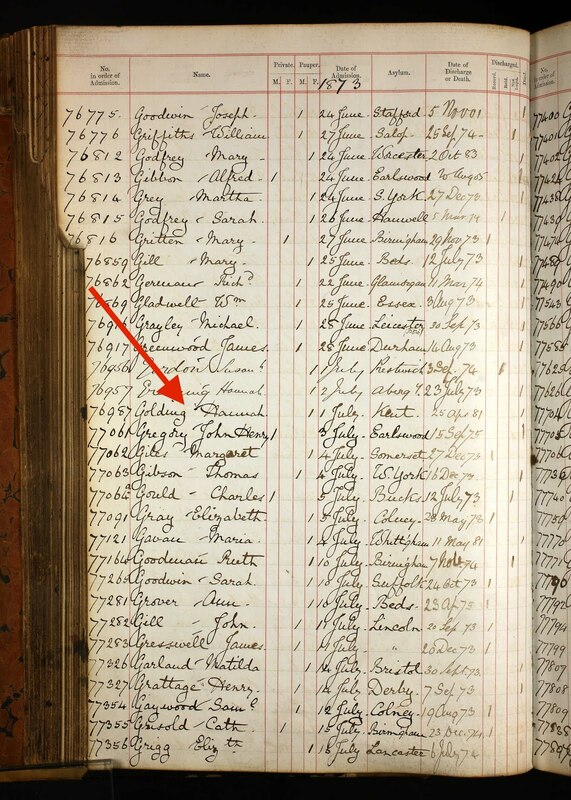 Ancestry.com has indexed records from over 3,500 parish registers. This is the first time that the collection has been indexed with the images linked online. She inspired me to follow suit in a blog meme called Five Days of Family Photo Stories. Just choose 5 photos that you love from your collection of shoeboxes and albums. Feature one each day on your blog or in your personal journal. Tell the story of the photo - where was it taken, who is in it, who took it, what year was it taken, what emotion does it invoke when you look at it, etc. This photograph is of four Purdue sisters - Margaret born 1875, Louise born 1881, Nellie born 1882 and Carolyn 1877. The sisters were milliners in Toronto Ontario, and these wonderful hats are their own creations. I love the variations they created with two very flamboyant hats in the back, one on the right front much more restrained, and on the left front, one very simple hat. I've often wondered - do the different styles reflect their different personalities or was it simply due to inexperience versus experience in hat making! All in all this is one of my favorite photos. The gal standing on the right strikes a casual yet cocky pose with her arm resting on the chair and her head tilted slightly. She seems to be saying "Okay world, here I am. What are you going to do with me!" I find it significant that her hat is the most flamboyant. I suspect she was a very confident young lady. By contrast the sister seated on the left seems to almost disappear. She is rigid, her body seems so very tiny and insignificant. That simple and tiny hat on her head also adds to the idea that she may have been shy and timid. 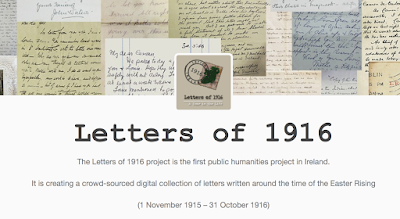 Yesterday I found this very interesting website called Letters of 1916. 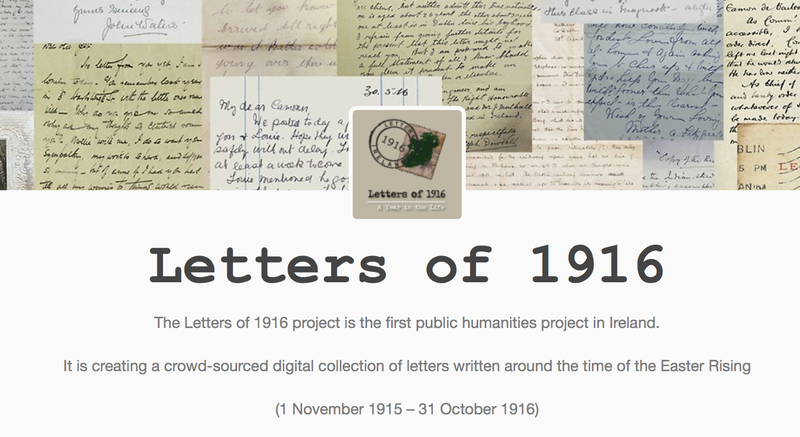 It is a crowd-sourced digital collection of letters written around the time of the Easter Rising in Ireland. The dates the website has covered are November 1915 to November 1916. Most of my readers know how much I love these old letters! 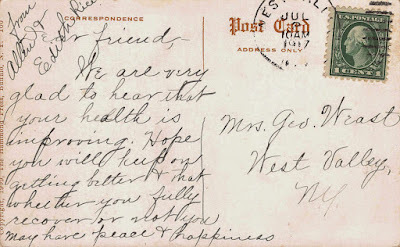 If you haven't been to my site called Past Voices: Letters Home, please do take a minute to have a look. 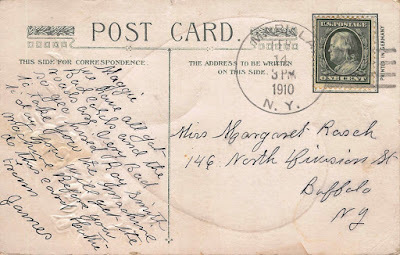 Old letters and photographs are my passion and I am always looking for more to share with you. Edith Winnifred Finch, my husband's 2nd great grandmother, was born in the Race Hill Workhouse in Sussex England in 1870. 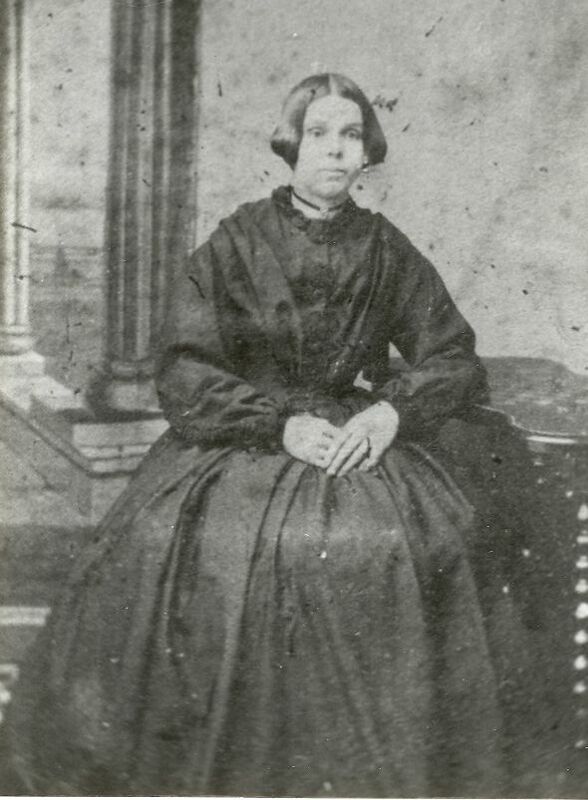 She was the third illegitimate child born to Martha Finch, who had lived in the Workhouse for over 10 years. 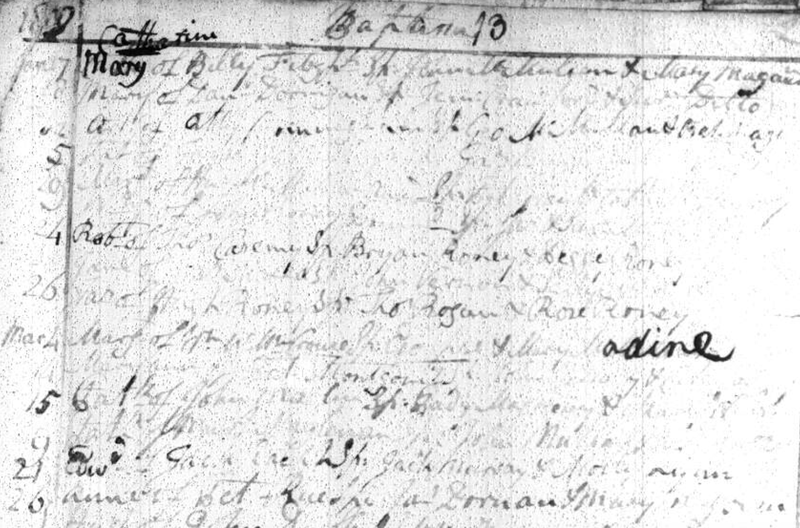 Martha gave no father's name on little Edith's birth registration and it is not known who he was. 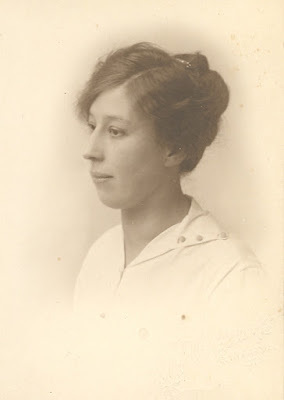 Sadly Edith was not as lucky as her two older siblngs who had been taken in by their maternal grandparents. She grew up in the Workhouse and was still there 20 years later. Then Edith was hired to work as a servant for a wealthy family. Not long afterwards, 21 year old Edith had a son. It is believed that she became pregnant by the son of the family she worked for. She and her baby Albert were able to rent a room in a private home. When Albert was 4 years old Edith's luck seemed to be changing. She met and married Albert Markham in 1895 and a son Frederick and daughter Elsie soon followed. Elsie was born in February 1898 in London England but misfortune struck again. When baby Elsie was 8 months old, her father Albert died and one month later her mother, 28 year old Edith also died. The two boys, ages 2 and 8 years old, were first taken in by relatives but within a few months they were put into orphanages but 9 month old Elsie was taken in by her aunt and uncle. Edith, through no fault of her own, had a very short and very tragic life. I call her a Woman of Courage for doing her best to make a good life for her children. Copyright issues have raised their head again. 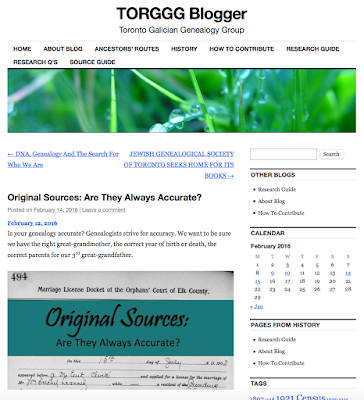 The following website, TORGGG Blogger: Toronto Galician Genealogy Group, has many bloggers' articles on its site. Perhaps you gave permission for your work to be republished there. I did not give that permission, yet two of my articles written for Legacy Family Tree were found there. My articles and images, including graphics I created personally, were taken without permission and published on TORGGG. My name was also missing as the author. Other bloggers have reported on Facebook that their unauthorized work is also found on the site. I wrote to the owner, Jim Onyschuk, jodanji@rogers.com.ed to demand he remove all articles written by me which he published without my permission. In the one and only email I send to the person who used my content without my permission, I give 24 hours as the timeline in which such articles must be removed or a fee for the article must be paid to me. I make it clear to the webmaster that if one of these actions is not take when the 24 hour deadline rolls around, I will file a DMCA notice with his webhost, any ad services he uses such as Google AdSense and feed services if they are used. And I do it. I don't hesitate, I don't give second chances, I file the DMCA notice. I then copy the webmaster on my filing of the notice. You can file a Digital Millennium Copyright Act (DMCA) notice by following instructions on How to File a DMCA complaint. My word of caution for today is to go and check out the TORGGG Blogger site if you have concerns that your work might have been taken and published without your permission. I won't link to the site and give him a nice backlink. Just use your favourite search engine to search for TORGGG BLOGGER or copy the link you can see in the graphic above. If your work is there and you don't want it there, please do follow up with a takedown email to the webmaster or a DMCA complaint or both. Copyright issues, splogs and using content without permission is not okay! We must all fight this attitude that if it's on the internet it's free for the taking. Anything published online is copyright to the author the second it is published. Don't let your rights be trampled on. Don't let your work be devalued. 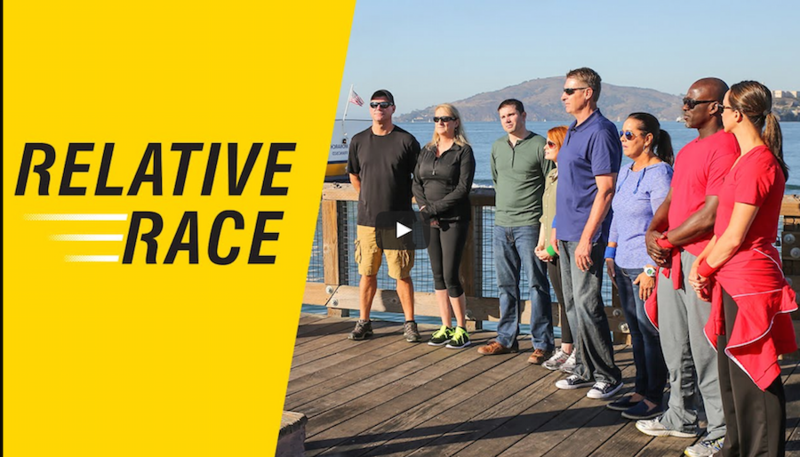 Olive Tree Genealogy received the following announcement about a brand new TV show, an original family history-based competition reality show titled Relative Race, that has been described as Amazing Race meets Who Do You Think You Are. 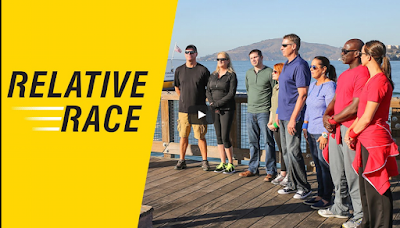 Premiering on Sunday, February 28 at 8pm ET/6pm MT/5pm PT on BYUtv, Relative Race features four married couples as they travel across the US in search of long lost relatives, armed with only paper maps, a rental car, a $25 per diem and a flip phone. Using the science and technology provided by Ancestry DNA , the couples embark on a journey that starts in San Francisco, ends in New York City and leads them to unknown relatives along the way. Cameras follow all four teams as they drive across the country -more than 4500 miles- in just ten days, stopping each day to complete a challenge and find (and stay with) their newly discovered relatives in a different city. At the end of each day, the team that finishes last receives a strike; after three strikes, teams are eliminated and the remaining teams travel to NYC for the grand finale where there is a $25k grand prize for the winning couple. 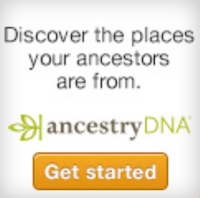 Labels: Amazing Race, Ancestry.com, AncestryDNA, Announcements, Press Release, Relative Race, Who Do You Think You Are? My friend Patricia G. shared this story on the Grande Prairie District Branch of Alberta Genealogical Society Facebook page a few days ago. Can my wonderful readers help? At our AGM last night a member came in with a photograph from her own family collection. The information she had to share about the photo is that James A. 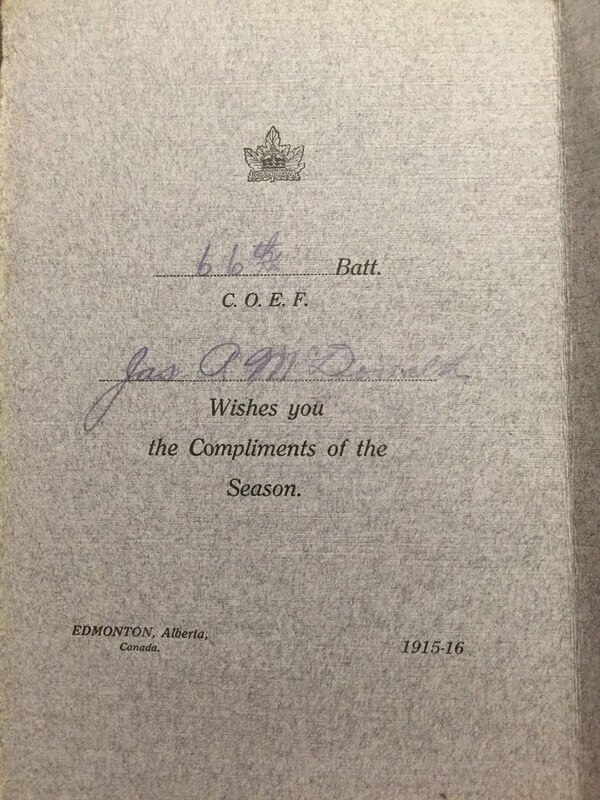 (Jim) McDonald walked over the Edson Trail with her relative (surname Edgerton) and later signed up for WWI. James was said to not have remained in the Peace Country for too long. The goal is to return this photograph to a relative of James A. McDonald. I told her I would share it with the sleuths on this site and see what we could come up with for her. *Another tidbit is that the Edgerton family settled around the Beaverlodge area. 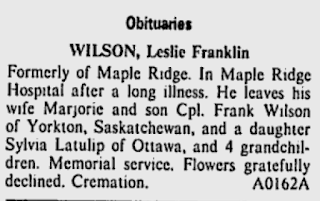 *The newspaper article is one I found on-line that I think may be the same guy. 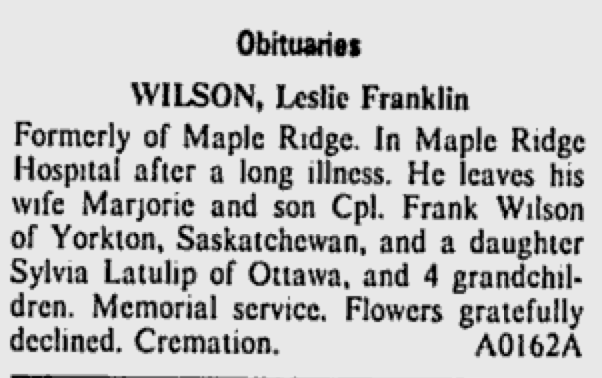 Aug. 28, 1917 in the Grande Prairie newspaper. Sarah Jane (often called Sally) Page was born in May 1840 in the village of Chilham in Kent England. Queen Victoria had just married her first cousin Albert one month prior. Sometime between 1855 and 1861 her parents separated. Sally and her husband Charles Simpson went to live with her mother and Sally's younger brothers Moses age 11 and Charlie only 6 years old. Her father lived elsewhere in the village with an older son. Little is known of Sally's early years but her strength and courage were called on in the spring of 1874. At that time her young husband, only 44 years old, became ill and died. Sally, pregnant with their 5th child was left a widow at the age of 37. Her oldest child was only 13. Less than 2 months after her husband Charles died, Sally gave birth to their son. This child was sickly and died when he was only 1 month old. Sally managed to raise her surviving children on her own by taking in laundry. She never remarried and remained a widow until her death in 1920 - 46 years after Charles died. In her later years she lived with her oldest son, my great-grandfather, and his family. In fact she died in their home with her daughter-in-law at her side. I admire my 2nd great-grandmother Sarah Jane (Sally) a great deal. Being widowed at 37, losing a child, and working long hours over steaming hot water at a physically demanding job must have been horrendous. She was a petite woman too so the job must have been very difficult. But she raised children who grew up to be decent kind individuals. I don't know about you but I'm fascinated by Blacksheep Ancestors. I have quite a few of my own! 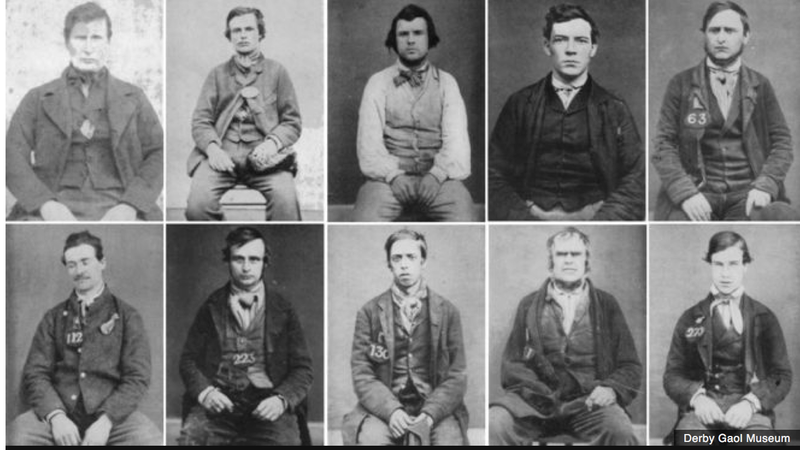 A historian claims to have found the oldest mugshots in the world. The photos were taken by the deputy governor of Derby Gaol in Derbyshire England from 1857 on. 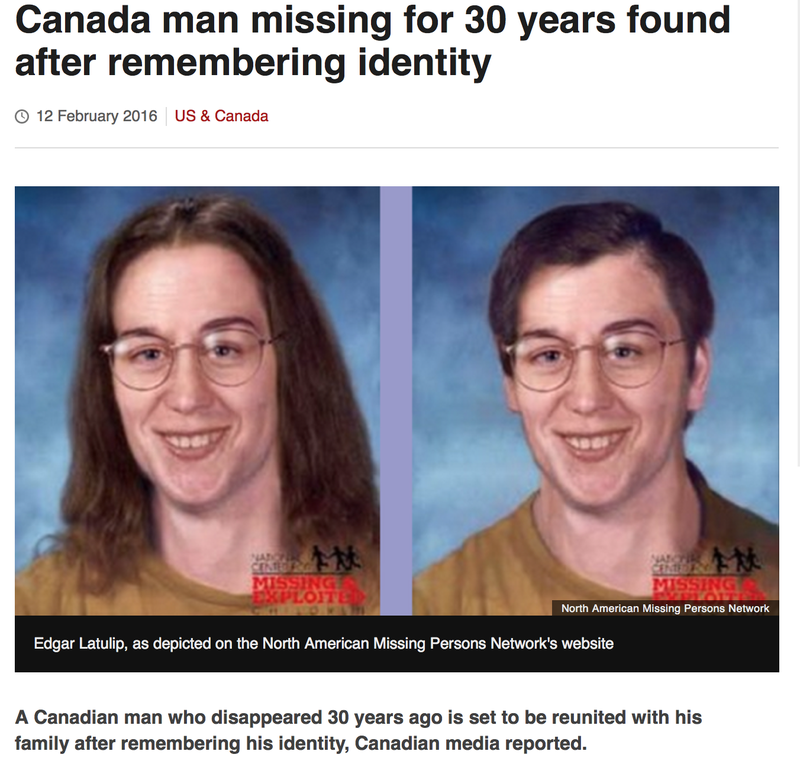 BBC News online has a compellling story of Edgar Latulip who was 21 years old when he disappeared 30 years ago. Edgar was living in a home for disabled individuals and had recently attempted suicide. When he disappeared his family thought he had either killed himself or been murdered. Apparently Edgar suffered some kind of trauma to his head and lost his memory until recently. Apparently DNA tests confirmed his identity. It's an odd story because I can't help but wonder how he survived for those 30 years if it is true, as the article states, he functions at the level of a 12 year old. I hoped to find news stories of the disappearance in 1986 but had no luck. 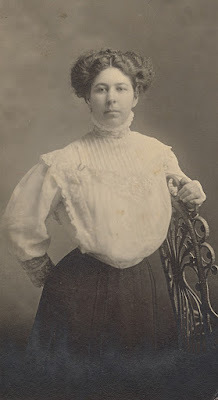 Hannah Philpot was my 3rd great-grandmother. She was born in what is called "the most haunted" village in England - Pluckley, Kent. In 1823 when Hannah was barely 18 years old she married Edward Golden or Golding and moved to Lenham. In the next 12 years, between 1824 and 1836, Hannah bore 6 children. In 1837 Edward, just 37 years old, died. Hannah was left a young widow with 6 children aged 1 to 13 years old. To keep her children in food, she became a charwoman. A charwoman was someone who cleaned houses for others. In 1840, three years after her husband's death, Hannah found herself pregnant and she soon gave birth to a baby girl (my 2nd great-grandmother) she named Georgiana. An illegitimate son John followed 3 years after Georgiana. 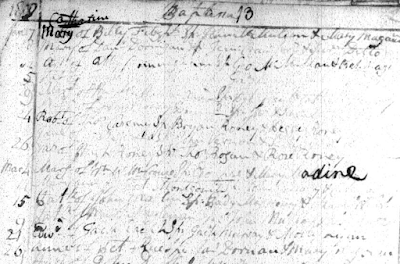 Georgiana's birth certificate does not name her father but when she married, Georgiana stated her father was George Norris. George was an unmarried next-door neighbour. At some point in 1873 Hannah was committed to the Kent County insane asylum where she died in April 1881. Poor Hannah lived a life of such hardship and loneliness and to spend the last 8 years of her life in a mental institution imparts a cruelty I cannot imagine. It has always bothered me that George and Hannah never married and I can't help but wonder if she was taken advantage of by George. That is why I call her another Woman of Courage. She lived in that small village of Lenham her entire life, and presumably held her head high throughout what must have been gossip about her scandalous behaviour and having 2 illegitimate children. Free Access to Canadian & Immigration Records! While Family Day isn’t celebrated nationally – in fact, Ontario, Saskatchewan, Alberta and B.C. are the only provinces to officially celebrate the day – Ancestry.ca is using this family-focused holiday to offer free access to all Canadians. We hope this will be welcome news to the 93 per said of Canadians who said they were interested in learning more about their family history according to a recent Ancestry survey. Until February 15, Canadians will have free access to all Canadian records in additional to Global Immigration Records – that’s more than 230 million records. So while the extra day off will allow for some Canadians to catch up with their present family, this free access on Ancestry.ca also allows all Canadians to connect with family members of the past. 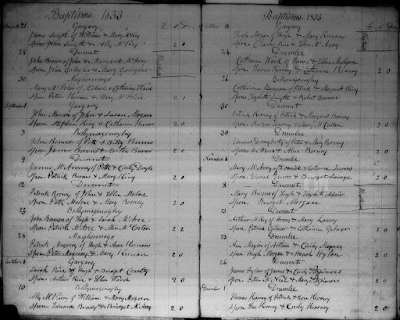 10 Million Irish Catholic Parish Records Coming Online! More than 10 million Catholic Parish records from Ireland are to be published online by Ancestry.com , the world’s largest family history resource. The collection means that Ancestry will have over 55 million Irish records and will provide the largest collection of Irish Catholic parish records available online. 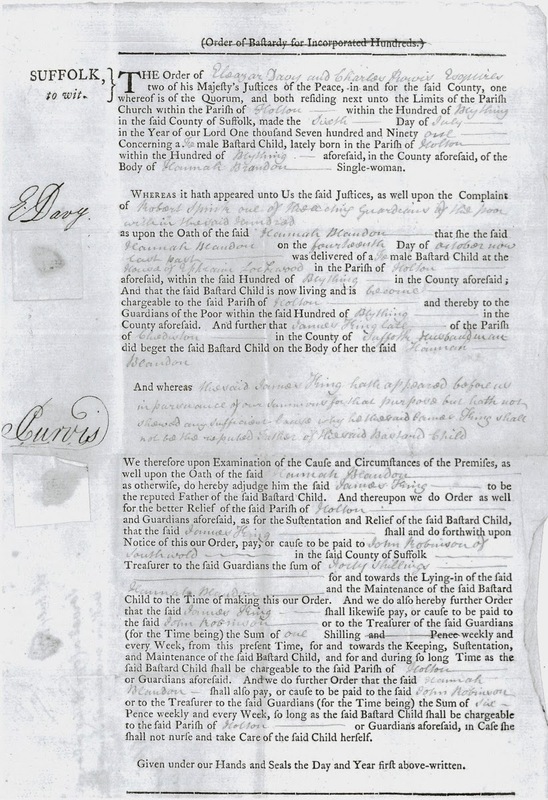 The collection is made up of Baptism, Marriage and Burial records from over 1,000 Catholic parishes across the whole of the island of Ireland - both in the Republic of Ireland and Northern Ireland. Baptism and Marriage records make up the majority of the collection and Burial records can be found primarily for parishes in the northern regions. Ancestry has indexed records from over 3,500 parish registers. This is the first time that the collection has been indexed with the images linked online. John Slyne, VP, International Operations at Ancestry comments: “The Ireland Catholic Parish Registers is the single most important collection needed to trace Roman Catholic ancestors in Ireland in the 1800s and we are delighted to make it available through Ancestry. Providing the very best Irish records to our members is important to us and this collection helps us do that, taking the total number of Irish records to over 55 million. It also means we continue to provide the largest online collection of Irish Catholic parish records available anywhere which is good for those in Ireland and also those across the World with Irish roots. The collection is set to go live on Ancestry.com in March 2016. Ada Massey was a young free-spirited woman. 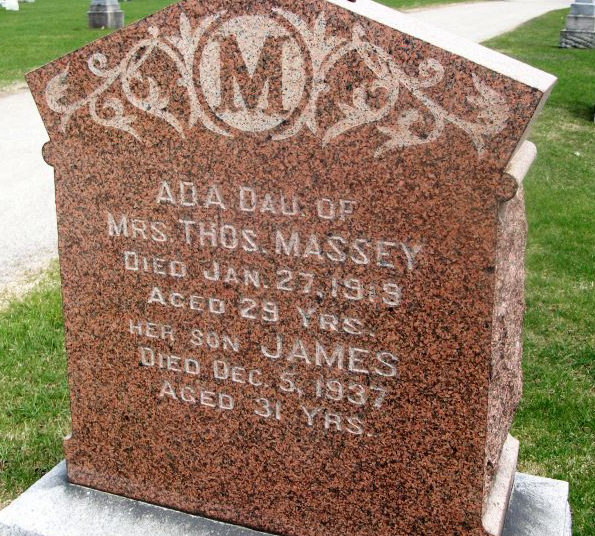 Born in the small town of St. Mary's Ontario in the summer of 1887, Ada was the first child born to Thomas & Harriet (Purdue) Massey. Eventually she was joined by 7 younger siblings. Their family was life was not unlike others of the time period. But Ada was different from other girls and young women her age. From an early age she began occassionally wearing men's clothing. Her behaviour became increasingly eccentric as judged by the mores of the early 1900s. After her father's death in 1912 when Ada was in her early 20's, her mother and brothers took to locking her in her room when she would have an emotional outburst. During one such time Ada climbed out her bedroom window and hopped on the family sleigh to drive into town. It was a cold winter's day and she had no hat or coat but Ada didn't care. 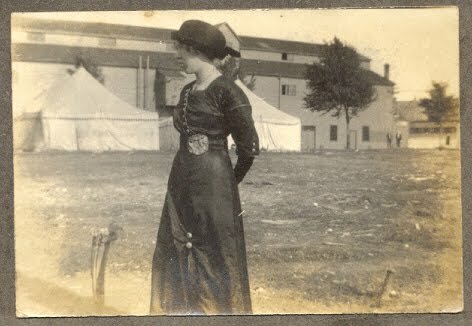 Eventually her behaviour and her emotional outbursts were too much for her widowed mother to handle and Ada was committed in January 1919 to what was then called the Insane Asylum in London Ontario. The notes of attending doctors and nurses reveal an anguished young woman, a woman whose wanting to cut her long hair short was judged a sign of insanity as "no decent woman would ever do such a thing." Ada insisted she wanted to cut her hair as it was far too hot in the summer and she was tired of fussing with it. Poor Ada was never good at adding or subtracting numbers and when a verbal math test was administered by the doctors, Ada failed miserably. The notation on her chart reads "mentally retarded". Reading Ada's hospital charts and notes one has to wonder if she were truly slipping into madness or was she just being dramatic so that she had some excitement in her otherwise drab life! She began to claim that she was married and that her husband was buried in the local cemetery. But reading her words made me think it was all a ruse, that she knew very well she was not married to a dead man, for her story kept changing. 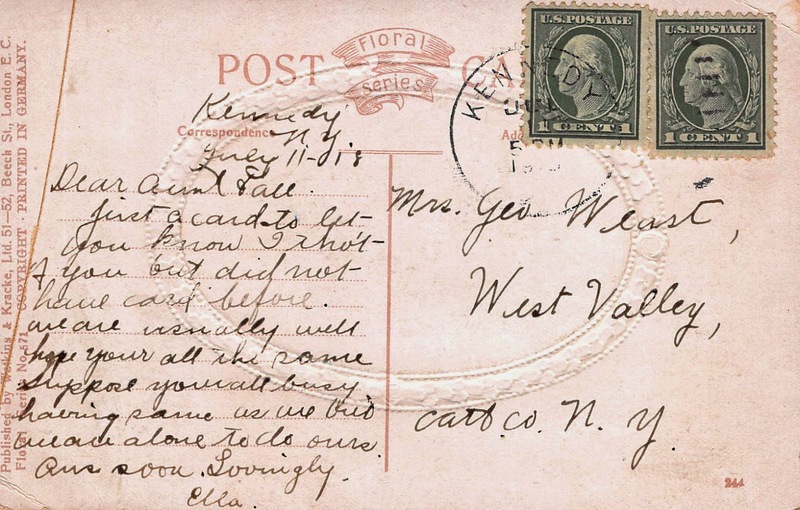 Meantime Ada's family sent letters and notes, as did Ada's many friends. Her mother wrote to the doctors asking for word of Ada's progress and expressing how much the family missed her. The doctors' notes back were brief and showed a total lack of caring. 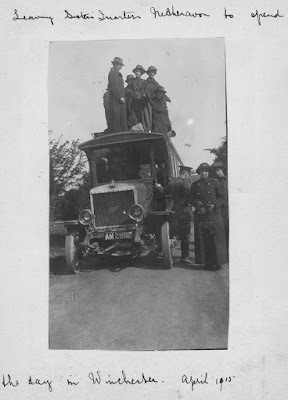 Ada was allowed visitors but the trip from St. Mary's to London was not easy so the family had few opportunities for a personal visit. Eventually Ada refused to eat. She wanted out. 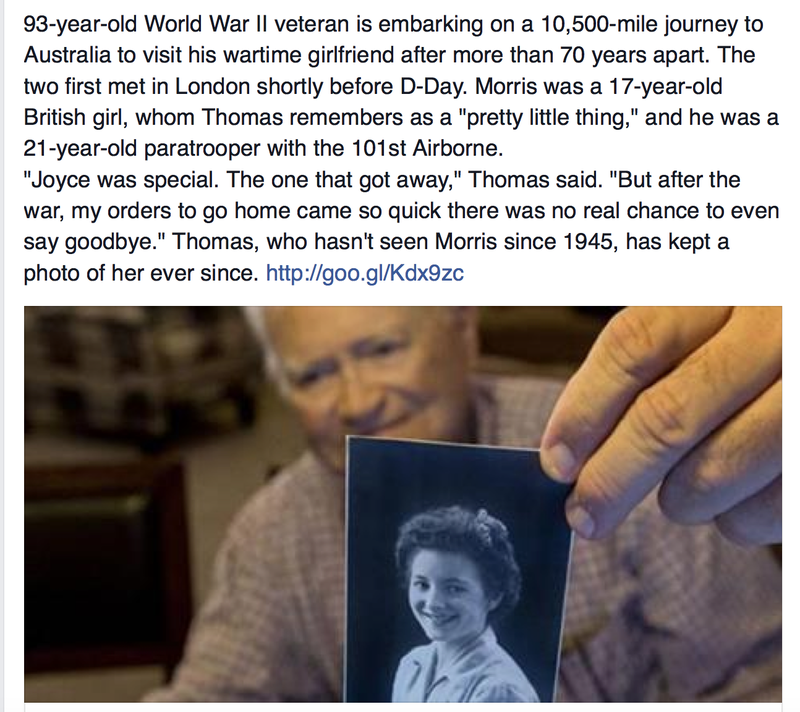 She wanted to go home and be with her family and friends. She wanted to go back to her job at the J.D. Moore Cold Storage Plant. After her continued refusal to eat, force feeding was ordered. We can only imagine the ordeal she went through. Ada continued to refuse solid food. Her death certificate notes the cause of death as "Exhaustion" I believe she simply gave up. I believe she was a misunderstood young woman who did not fit into the social norms of the day. And that is why I call her a Woman of Courage. 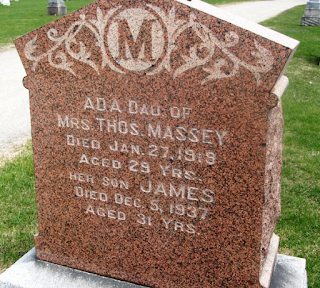 Ada is buried in the local cemetery in St. Mary's with her brother James. Rest in Peace Ada. True love finds a way. 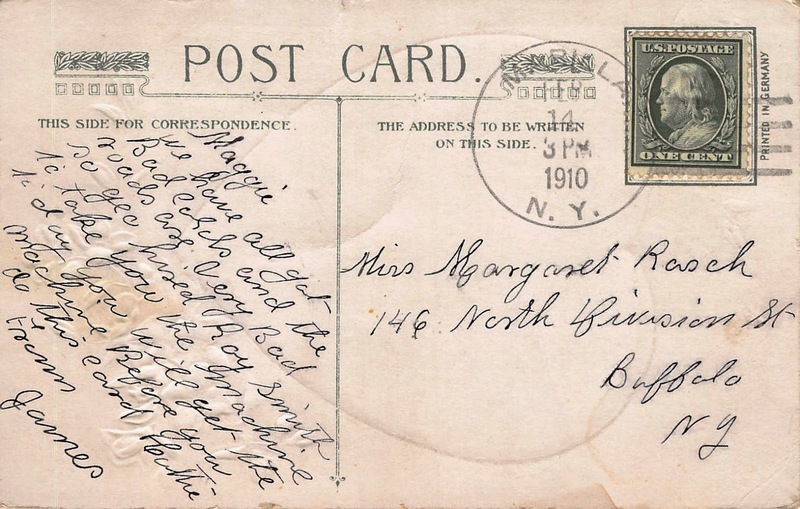 After the war ended, Norwood went back to America, and settled in Virginia Beach, while Joyce ended up in Australia. They lost touch until recently. Yesterday they reunited in Australia, courtesy of first-class tickets from Air New Zealand, and donations from complete strangers. With Ancestry’s recent announcement in launching the Alberta, Canada, Homestead Records, 1870-1930 , the Alberta Genealogical Society would like viewers to seriously compare the scope of the two indexes. Ancestry’s index is has a minimal listing of approximately 207,000 records, whereas the Alberta Genealogical Society has in their combined database over 520,000 entries. The AGS all name homestead index for 1870 to post-1930, lists those applying for land patents between 1885 and 1897; those who completed the homesteading process and eventually obtained a title; those who applied but abandoned their homesteads; and other individuals whose name appears in the files for a variety of reasons—something the Library and Archives of Canada nor Ancestry has done. 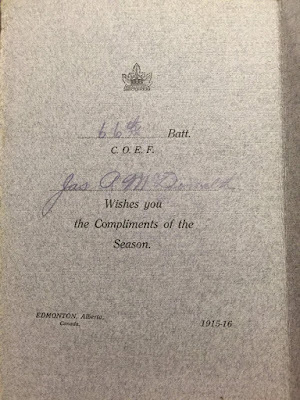 We invite everyone to view the AGS databases which have twice as many records, and twice the knowledge over the record index at http://www.abgenealogy.ca/alberta-homestead-indexes. When my 5th great-grandmother Anna Maria (Mary) Warner was born in Schoharie New York in 1735, she could not have known the hard times she would go through as an adult. Her husband Isaac Van Valkenburg aka Vollick was imprisoned three times during the American Revolution for his Loyalist sympathies. When he was in prison, Mary was solely responsible for their 10 children. After Isaac was released from prison he joined Butler's Rangers and fled to Canada. Mary continued to aid the British, and in 1779 she and the children were taken from their home at North River, New York by American patriots. Their home was burned, Mary and the children were marched 80 miles north through the forest and left in destitute circumstances to either die or figure out how to get to Canada. Luckily natives found Mary and helped them reach Montreal by July of 1779. There the family received food rations, lodging and blankets until 1782 when they settled in the Niagara area as impoverished Loyalists. Then came the Hungry Years when crops failed and food was scarce. Hundreds of Loyalists perished. I can not begin to imagine how Mary survived and kept her family alive during these times. 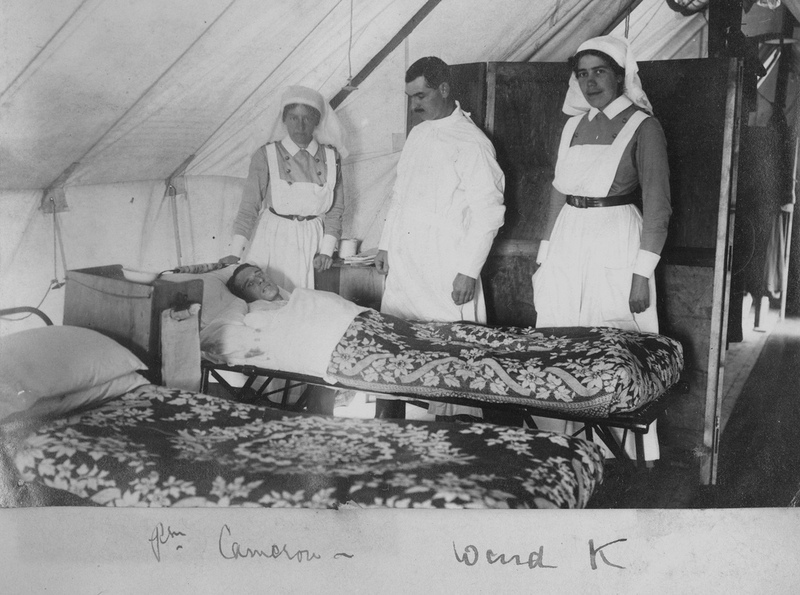 Jean Cameron-Smith was born in Perth Ontario on September 22, 1871. A search of the online Birth Registrations for Ontario provides a late registration dated 1933. Her father's name is given as Robert Ralph Cameron-Smith. Her mother is Helen Mason. Like Gertrude Billyard, Jean enlisted in the Canadian Expeditionary Force (CEF) in London England on February 24, 1915. She was almost 39 years old. 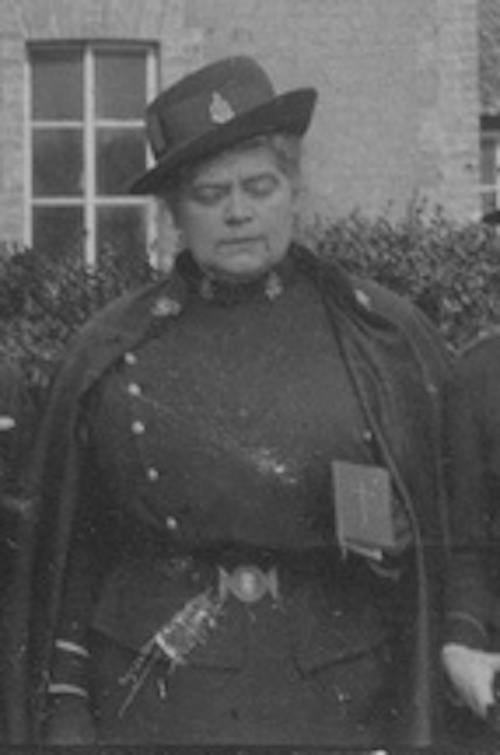 During her service overseas, Jean was promoted to Matron in September 1917. This photo was almost certainly taken in 1917 when she was in Oprington as a matron. She served as a Nursing Sister in England and France and at War's end returned to Canada on the SS Carmania on 5 July 1919. Jean's full service file is online as a PDF document. Recently I wrote a blog post called Where (and Why) Are Canadian Genealogists Hiding? I issued a challenge to Canadian Genealogists to speak up and promote themselves better. As part of my challenge I crowdsourced a list of Canadian Genealogists which you can view at Update on Where Are the Canadian Genealogists Hiding? Next I invited any Canadian Genealogists on that list to participate in a Guest Biography post here on Olive Tree Genealogy. I'm pleased to introduce you to Penny Allen, a Canadian genealogist living in the U.K. I asked Penny some questions about here role as a Canadian Genealogist and here are her responses. Quite a while ago, I was bitten by the genealogy bug when researching family history meant writing letters, using microfilm and ‘horrors’! – books. 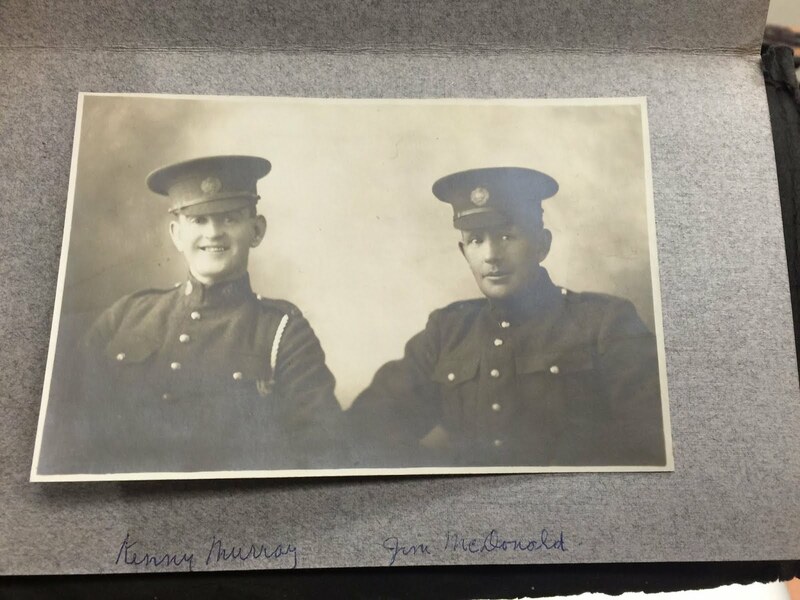 My parents are first generation Canadians and I was curious about the stories that I heard about my grandparents. I have many interests in genealogy, but most of the time I delve into emigration, land ownership and early settlers to Canada. Because of my work, I enjoy learning about maritime history – the navy and merchant navy, WRENs and anything similar. I have yet to pursue my Scandinavian roots and am keen to start uncovering that branch of the tree. 3. What are your website(s) and blogs? 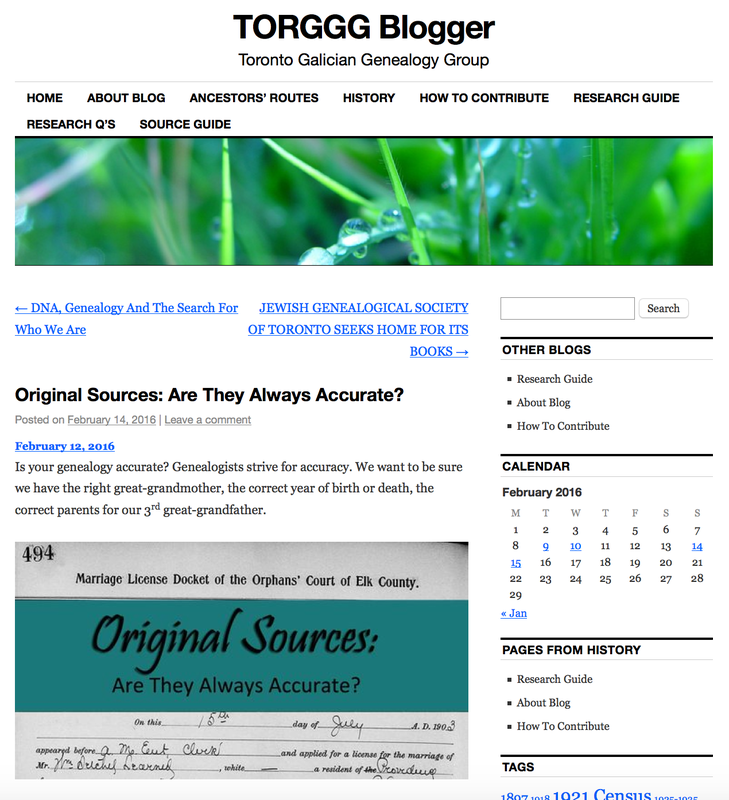 I have had numerous over the years, but my blog, ukcdngenealogy.blogspot.com is the most current. This information is available via my blog. 5. 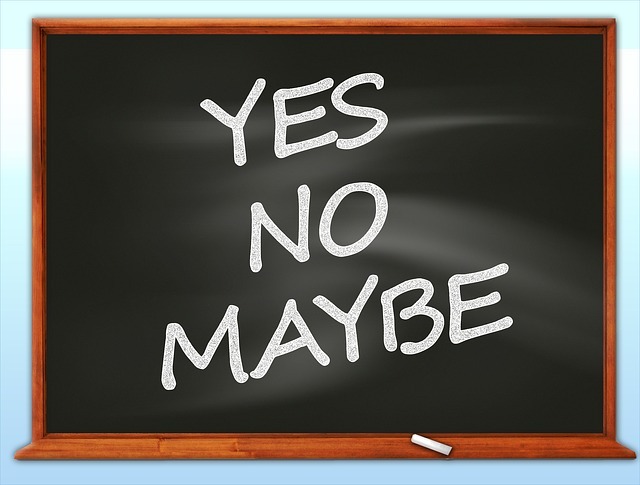 Do you believe a Social Media presence is important? 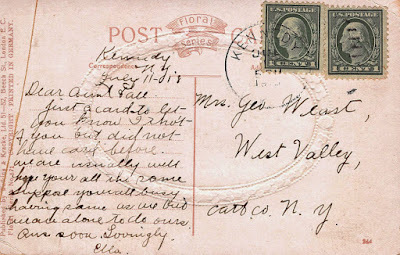 Although I am aware of and support social media use in genealogical circles, I don’t embrace it fully, as I have had some negative personal experiences. However, I recognize its importance as a quick way to stay in touch with the genealogical community. It is valuable in its methodology, but I would stress that people do take care when using and providing information online. 6. Are you a member of any genealogical societies or organizations? At the moment, I am a member of the Alberta Family History Society and the Society of Genealogists (London). Over the years I have been a member of various family history societies and I like to rotate my financial support amongst them as I feel that their work is very important. I regularly recommend their services to anyone who asks me for help. 7. What does genealogy mean to you? Why do you believe it is important? There is a quote (loosely interpreted) that basically says ‘You need to understand from where you came in order to know where you’re going.’ Family connectedness and knowing your roots does give a sense of belonging and purpose. 8. What do you believe is the most exciting development in genealogy today? There is no question that the use of DNA research in genealogy is one of the most popular ways of connecting with long lost family. It helps to pinpoint an area where a family originated and can put you in touch with other family members as well as researchers in the area. 9. Do you have a prediction or hope for the field of genealogy in the future? Digitization of archival records seems to be expected as the norm nowadays and will be needed long into the future. However, many do not realize that there is a long process of implementation in most organizations, and these decisions can sometimes take years to manage. Not every resource is online and researchers will still need to make a physical visit to an archive, so my hope is that people will continue to support the valuable work of archives. A number of important archives in London have been impacted by researchers seemingly doing a large percent of their research online as demonstrated by the services that were recently cut at the Imperial War Museum. 10. Please feel free to add anything you would like to say that hasn’t been addressed by the questions above. I am concerned by the numerous cuts to local studies services in the UK which is often times connected to council library (public libraries run by local authorities) cuts. Often the council is trimming library services in general, and the local studies services are affected in the ‘downsizing’. This is purely an administrative action, saving costs, but in turn, cutting jobs means losing staff whose local knowledge has been built up over the years. The result is that many libraries are staffed by volunteers, and when faced with genealogical questions aren’t able to help customers (this has happened to me personally). It is disappointing that this knowledge base will be lost and more advocacies from users are necessary. My hope is the councils running libraries will realize how much this type of service is needed (as a result of positive action taken by the users) at local libraries! 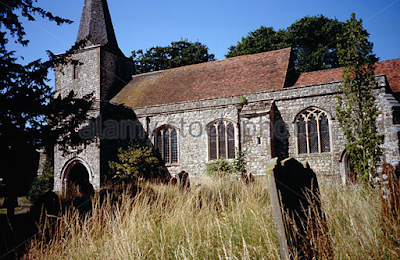 When my 4th great-grandmother Hannah Blanden was 8 years old, her parents were ordered out of their home in from Bury, St. Edmunds Suffolk and sent to Wenhaston Suffolk. The year was 1778 and a Removal Order had been served on Thomas Blandon, Drummer in the Western Battalion Militia and his wife Mary and their children Mary, Elizabeth, Hannah, Thomas and Susannah. The youngest child was only one year old. 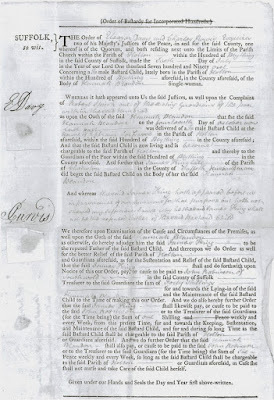 Removal orders meant that a family had become a financial burden on the parish they lived in, and could, by law, be ordered back to the parish the head of house had been born in. This was an incredible hardship on an already impoverished family, because often the birth parish was one the individual had never lived in for any length of time. 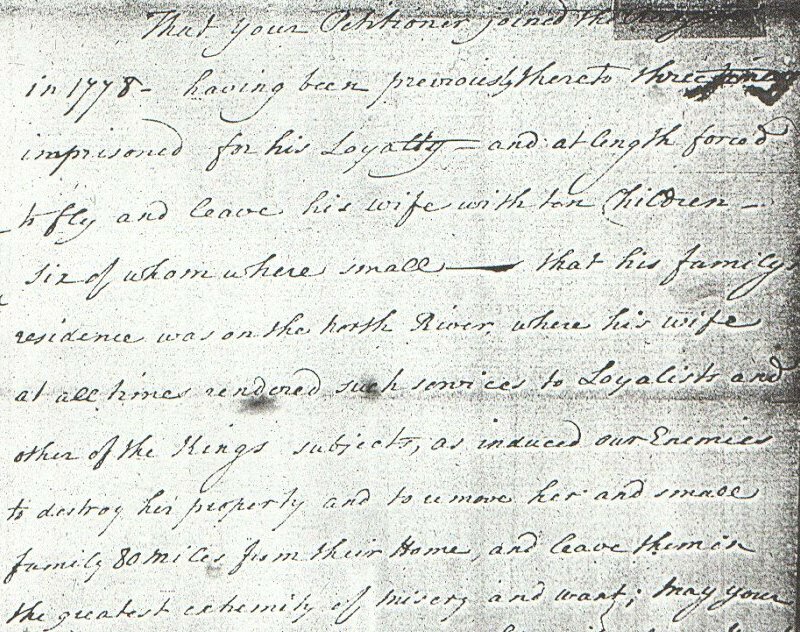 At the age of 20 Hannah had an illegitimate child and underwent a Bastardy Examination held by her parish in 1791. 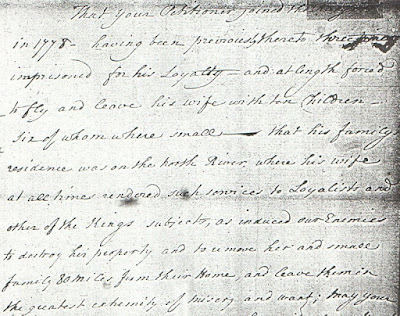 At some point after the birth of their daughter James and Hannah may have married because they had at least two sons - Lewis in 1793 and Thomas in 1796. I have not found a marriage record for them so it is possible they never formalized their union. What a brave woman I am descended from! To go from poverty, to be uprooted from friends and her home, be a single mom - that's a woman of courage to come through it all. Major News! FamilyTreeMaker is back! WooHoo! Olive Tree Genealogy is 20 Years Old!! !